Room Hire at Newmillerdam Country Park & Boathouse01924 303980workVisitor CentreThe Boathouse is located in Newmillerdam Country Park, 3.5 miles south of Wakefield, on the A61 (Barnsley Road). The Boathouse consists of two rooms. The main room seats up to 30 people and the ground floor room seats 8 - 10 people. 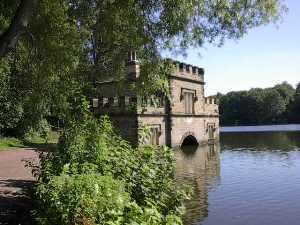 The Boathouse is located in Newmillerdam Country Park, 3.5 miles south of Wakefield, on the A61 (Barnsley Road).